WeLoveBigBrother.com met and interviewed the Big Brother 13 houseguests the week before the season premiere on CBS. Before the new houseguests entered the house, we asked them some of YOUR questions in our video interviews. Keep checking WeLoveBigBrother.com and we will let you know when we are able to release the identities of the houseguests and the video interviews. We’re excited to announce that WeLoveBigBrother.com interviewed the Big Brother 13 houseguests prior to the season premiere on CBS. Continue to check WeLoveBigBrother.com for the release of the videos and a complete rundown of the houseguest identities and video interviews. Big Brother fan and WeLoveBigBrother.com Editor Matt Maynard will be meeting the houseguests and conducting the interviews. The identities of the select few will remain a mystery until the day of our interviews, but we still want your creative questions for the unidentified houseguests! 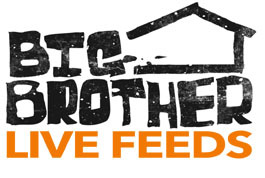 We will post the video interviews right here on WeLoveBigBrother.com as soon as we are allowed to! Please submit your most creative questions in the comments section below. P.S. – If you’re excited about our interviews and appreciate the coverage we provide, please consider signing up for the 3-day free trial of the live feeds with the 25% discount. Using the links on WeLoveBigBrother.com will help us cover our three flights and hotel rooms for our camera and interview crew. Thank you! Join the conversation about Big Brother 13 by following @wlbb on Twitter! DanielleRkelley: If they were in an alliance of 4, which past 3 houseguests would they want in their alliance.